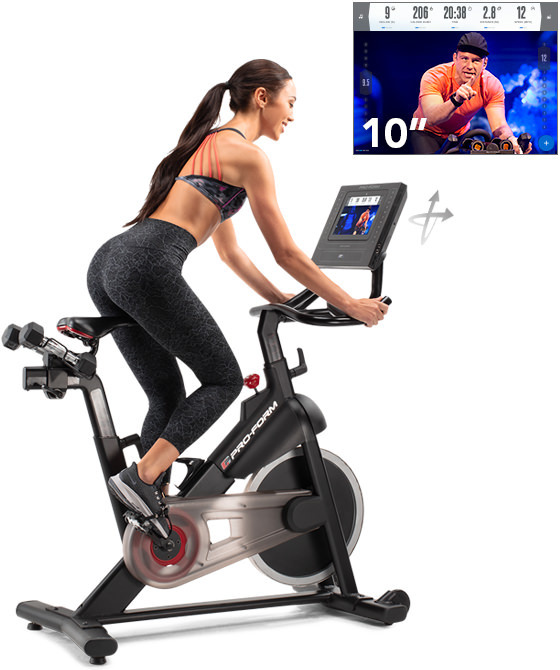 The Cycle Trainer is the newest indoor cycling bike from ProForm, a well designed machine with on demand workouts with personal trainers around the world. It's more affordable than the popular Studio Series, and as such is accessible to a much wider audience. 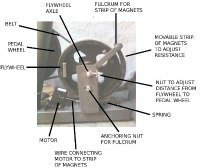 The Cycle Trainer features a front flywheel and commercial-gauge steel construction with plenty of adjustability for the perfect ride. Check out this great new bike on sale now at the company site! The ProForm Cycle Trainer has received a lot of buzz lately, as many customers have been looking for a more affordable indoor cycling option for their homes. The Studio Bike and the Pro version are certainly awesome, but at around $1,500 + they are a bit out of range for some riders. The new Cycle Trainer is just around $1,000, making it accessible to more potential users. With the rise in popularity of Peloton and similar on demand training bikes, companies have been scrambling to come up with studio cycles that can compete, or at least take away some of the market share from Peloton. NordicTrack is doing a pretty good job with its Commercial Studio Cycles and now ProForm is following suit with this one. The ProForm Cycle Trainer features a large 10" Smart HD touch screen, which is a nice upgrade from the typical LED display you find on most bikes in this price range. It shows you all of your relevant workout stats and can be adjusted to create the perfect viewing angle. It also has iFit Coach programming, a subscription based interactive experience with an endless library of on demand classes, either in studio or outdoors in thousands of locations worldwide. 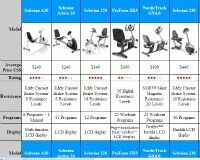 The coolest part is that the Cycle Trainer automatically adjusts its resistance to match the workout that you choose. So you can really feel like you're training one on one with your own instructor. You also get two 3 lb. dumbbells for off the bike training, which is a nice bonus to change up your workout routine. There are classes dedicated just to that, giving you a true cross training experience. On top of the touch screen, resistance levels, iFit Coach and dumbbells the ProForm Cycle Trainer comes with a well cushioned seat, adjustable handlebars, toe clips/straps, music port, water bottle holder and transport wheels for portability. It has a solid warranty to back it all up: lifetime on the frame, 3 years on parts and 1 year labor. If you're in the market for an indoor studio bike that won't break the bank, the ProForm Cycle Trainer is definitely a great choice. You have plenty of features and capabilities, many of which you simply don't find anywhere else. You have the large touch screen display, on demand workouts and Google maps through iFit Coach, plenty of resistance levels, on and off bike training with dumbbells and ample customization options. You don't get the incline/decline capability of ProForm's Studio Bikes, but everything else you need for a great ride and a great workout is here. Check out the new Cycle Trainer today and see if it's the right bike for you. If you can find it right around $1000 it's a fantastic deal.